Antique French Hand Made Glass Beaded Mourning Flower, made entirely by hand in the mid to late 19th century. Considered works of art during the 19th century and early 1900s in France, not many of them have survived the century due to their delicate nature. Flowers like this were woven into mourning wreaths, it's a very rare to find flowers of this large size. Used for memorials as well as gifts and souvenirs, these are mostly seen in museums and chapels today. 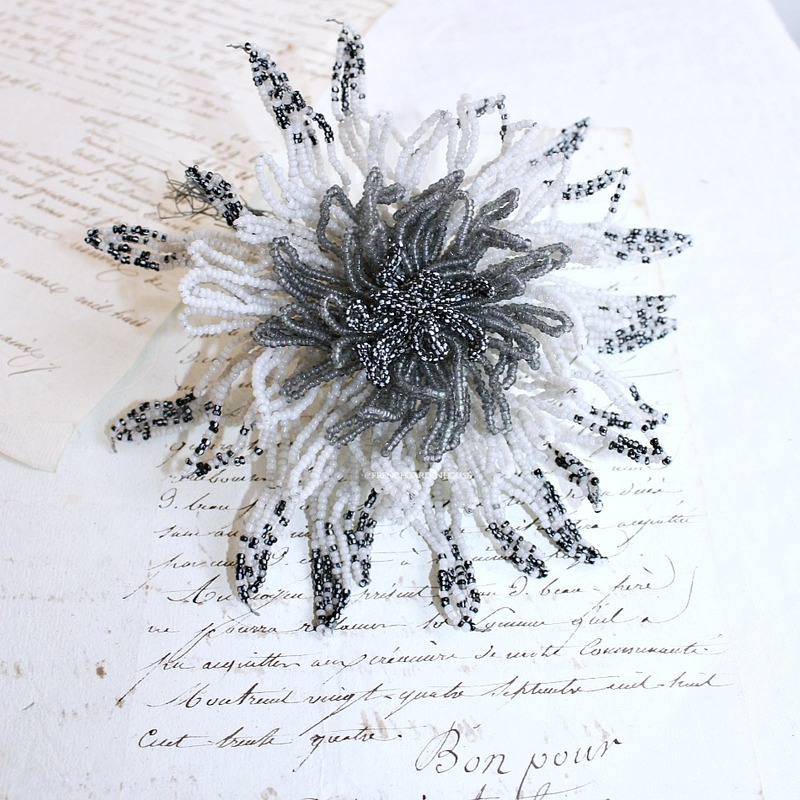 This slate grey and white floral beauty is in exceptional condition, from a collector and the wire is not rusted, as it's been kept carefully on display behind glass. Measures 7" x 7" x 3".